This is the final iteration on a theme — the final riff on a single poem over almost 10 days time. 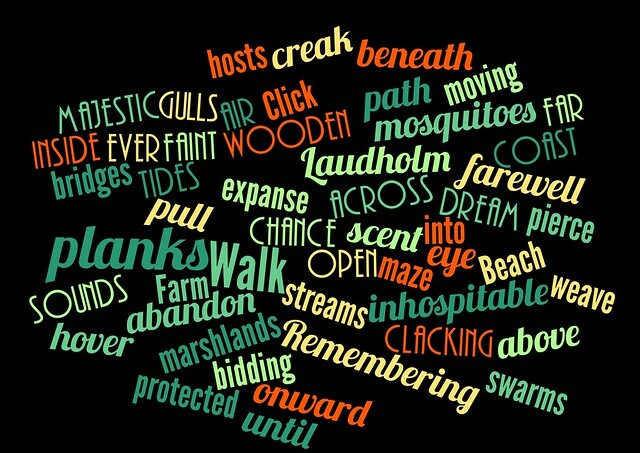 I’ll do some reflecting later (and I have been curating my poem’s development) … but for this last sharing out of my poem about a walk through the woods to get to the ocean in Maine, I used a few word cloud-ish techniques. The first two, via apps on my iPad, become merely word clusters. Interesting to look at and certainly pretty to see, I guess, but not much agency in the creative element. I tried to add an invisible ocean wave to the second one (see it?) but it didn’t work the way I had hoped. This one uses an app called CloudArt, sort of like Wordle for the mobile device. and this one uses an app called Visual Poetry. 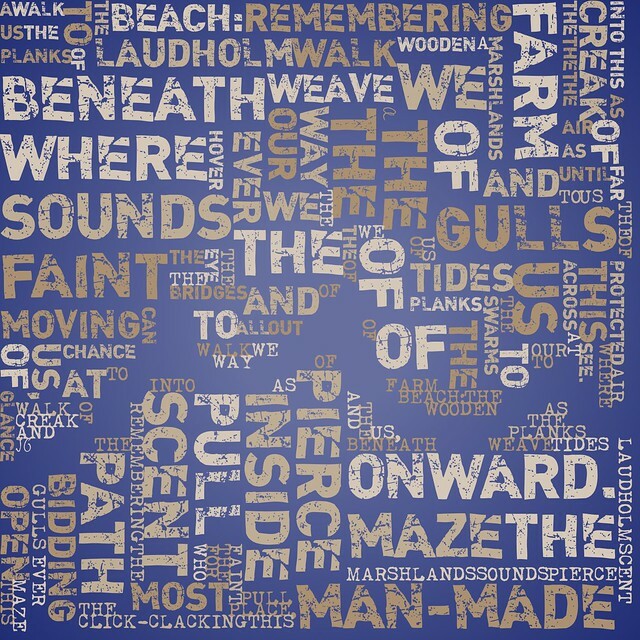 The second project, which uses an online program called Visual Poetry (not to be confused with the app of the same name) is a bit different, as it allows you to drag words into shapes across the screen, and so I decided that a winding path leading towards the ocean made sense. It’s very visual. The colors looked more vibrant at the site and sort of got flattened when I created the image file. Interesting.